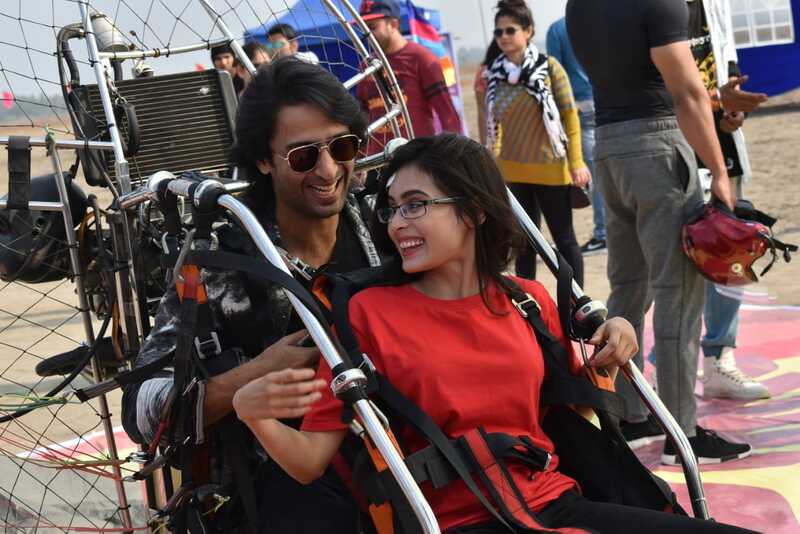 Shaheer Sheikh and Rhea Sharma who play the characters of Abir and Mishti in Rajan Shahi’s hit show Yeh Rishtey Hain Pyaar Ke on Star Plus recently had a sequence where the lead pair was spotted enjoying the paragliding. They got to show their adventurous side. The daily soap is generating a lot of curiosity among the audience. Rajan Shahi‘s YRKKH (Yeh Rishta Kya Kehlata Hai) and YRHPK both the shows are being loved and appreciated by everyone. Really Excited To See The Magic Of Asha Negi And Sharman Joshi's Chemistry In ALT Balaji's Baarish! - First Look Revealed!